Are Annual Air Conditioner Tune-ups Really Necessary? Many homeowners wonder if an annual air conditioner tune-up is an unnecessary expense. On the contrary, regular maintenance saves money by preventing costly repairs and extending the system, as well as by maximizing the unit’s efficiency and performance. Learn more about why you should schedule an air conditioner tune-up before the start of the season. Here are 7 good reasons why you won’t want to skip your annual tune-up. 1. A spring tune-up will give your air conditioner a head start. Your air conditioner has likely been idle for months. Before you need it every day, it is a good idea to get it checked out — the same way you might have your car serviced before a cross-country trip. It might be just fine, but it makes sense to start the season with your system at peak function and efficiency. 2. Regular maintenance is almost always less costly than repairs. Preventive maintenance is a cost-effective to way to avoid or minimize repairs and breakdowns. A certified technician can identify and address any issues while they are minor. Often just cleaning and making simple adjustments is enough to prevent the excessive wear-and-tear that would otherwise shorten the life of your air conditioner. 3. Neglecting regular maintenance can void your warranty. Many manufacturers require annual maintenance to keep the warranty in force. 4. A well-maintained air conditioner lasts longer than one that isn’t. Maintenance is about more than preventing breakdowns. Keeping your system in good working order extends its useful life. The longer your system works, the longer before you have to replace it. 5. A tune-up can increase efficiency and decrease cooling costs. Energy costs account for a significant percentage of most household budgets. When your air conditioner is well-maintained it uses less energy and is, therefore, less expensive to operate. Dust and debris build-up, a condensate drain clog, parts that need lubrication and adjustment can all lower efficiency over time. A poorly maintained system has to work harder, and use more energy, to keep your home comfortable. A clean, efficient air conditioner is good for your budget and good for the environment. 7. You’ll get faster service with more flexible scheduling in the spring. Before the start of the season, technicians have greater availability. This means you can schedule your maintenance appointment at your convenience. This may not be the case in the middle of summer if you need a repair. Emergency or after-hours service can also be more costly to obtain. Check the accuracy of the thermostat. Contact Rheem Pro Partners today to schedule your air conditioner tune-up in Colorado and Wyoming today and enjoy a worry-free summer! What are Evaporator and Condenser Coils and How Do They Help Cool Your Home? Running an air conditioner certainly doesn’t require knowledge of how to build or even repair one, but learning how some of the main components work may help you better maintain your system. Here we explain about the air conditioner evaporator coil and air conditioner condenser coil. Unlike a furnace that produces heat, an air conditioner relies on refrigerant or coolant to remove heat from the air by absorbing it and releasing it outside. The evaporator coil and the condenser coil are integral parts of this process. What is an Evaporator Coil? The cooling process begins with the evaporator coil, also known as an evaporator core. It is located inside your home near the air handler (the blower fan) and consists of U-shaped tubes set into panels. The evaporator coil holds the refrigerant and is made of copper, steel or aluminum – materials that easily conduct heat. The panels are positioned to form an “A” and are lined with thin pieces of metal called “fins” which draw the hot air close to the refrigerant to maximize cooling. The compressor pulls the liquid refrigerant through an expansion valve that relieves the pressure from the refrigerant and quickly cools it, allowing it to absorb heat as it then flows through the tubing in the evaporator coil. The valve controls how much refrigerant flows to the evaporator for overall energy efficiency. The blower fan draws the hot air over the evaporator coil. The refrigerant absorbs the heat, warms and evaporates. When the water vapor in the warm household air hits the cold evaporator coils, the water vapor condenses into liquid form and drips down into the condensate pan, which drains the water away outdoors. This is how your evaporator coil reduces the humidity in your home. In order to operate efficiently, the evaporator must be clean. Dust can prevent the refrigerant from properly doing its job and cause the system to work harder than necessary to cool your home. Keeping the evaporator free from dust and debris requires regularly changing or cleaning the air filter (every 30-90 days) and scheduling annual maintenance by a certified HVAC technician to thoroughly clean and inspect the system. Frost on the evaporator coil indicates that the system is dirty and malfunctioning in some way. Do not run an air conditioner if you notice frost because doing so can cause serious damage to the equipment. Evaporator coils can also develop tiny pinhole leaks due to corrosion caused by moisture from condensation mixing with common household chemicals in the air. Oily residue around the evaporator or in the drain pan is a sign your coil is leaky and requires replacement. The chemicals in the air are called volatile organic compounds (VOCs) and come from carpeting, fabrics, cleaners, pressed wood, air fresheners and other similar sources. Maintaining proper ventilation can prevent VOCs from harming your air conditionaer and your health. What is a Condenser Coil? The condenser coil is housed in the condenser unit, the portion of the air conditioner system that is outside and houses the compressor, the condenser coil and a fan. After the refrigerant in the evaporator coil has absorbed the heat from the air in your home, a copper tube transfers it to the condenser unit. The low-pressure, warm refrigerant gas enters the compressor where it is pressurized and turns into a hot, high-pressure gas. From there, the gas flows into the condenser coils and the refrigerant releases most of the heat it has absorbed. The fan on the top of the condenser unit also causes the refrigerant to lose heat by blowing air over the condenser coil. The condenser coil is designed to maximize the time the refrigerant is in contact with the blowing air, so it can release as much heat as possible. As it cools, the refrigerant changes from a hot gas to a hot liquid. From there, it flows back through a copper tube into your home and into the expansion valve located in the indoor unit near the evaporator coil. Similar to the evaporator coil, the condenser coil needs to stay clean. To ensure proper airflow, periodically check for debris, such as leaves and branches, that may be blocking the system. Maintain a clear area around the unit and prevent leaves or other foliage from falling on or near the condenser. Frost or even ice can develop on the condenser unit as a result of dirt in the system. If you notice a buildup of dirt on the condenser coil, use a stiff brush to gently clean the fins. Annual professional maintenance will keep the condenser coil, and the entire condenser unit in good shape. It’s important to perform routine A/C maintenance that keeps your evaporator and condenser coils and the rest of your system running efficiently. If something does go wrong, you’ll be better able to troubleshoot the problem. Your knowledge will also help you make smart choices when you’re ready to buy replacement components or upgrade your air conditioner. For more assistance or to schedule a maintenance appointment, contact Rheem Pro Partners in Colorado and Wyoming today! Whether purchasing a brand new home, or a home that is new to you, making sure you understand your HVAC system from the start will go a long way toward insuring your comfort and safety in your new place. For an older home purchase, getting an HVAC inspection and scheduling maintenance is especially important. While checking out the bedrooms and the kitchen appliances, be sure to look at the HVAC equipment too. For starters, review the stat sheet on the house you are interested in for a list of the types of HVAC equipment, as well as the fuel used to power them. If that information is missing, be sure to ask. Here are some tips for evaluating the HVAC equipment in a potential home. 1. Understand what your HVAC system includes. In addition to the furnace, air conditioner and water heater, the HVAC system might include a programmable thermostat and indoor air quality accessories. Many HVAC systems also include ductwork. 2. Visually inspect the equipment. Does the equipment appear to be in good condition? Does it make noises that are concerning? Make a note of anything that seems unusual and be sure to have your home inspector check it out. You can also hire an HVAC professional to do an inspection. 3. Ask about the system’s age. HVAC equipment typically lasts 10 to 15 years. If the equipment is in that range, you may wish to ask for it to be replaced, even if it has been well-maintained. New equipment will have far greater energy efficiency and reliability, making it much more cost effective to operate. The Department of Energy estimates that a 12-year-old central air conditioner that is replaced with a new Energy Star model can reduce air conditioning energy costs by 30 percent. 4. Look for the energy label. Even if the equipment is newer, look for the yellow energy label for the energy efficiency rating and the estimated operating costs compared to similar equipment. The Energy Star logo indicates greater efficiency than standard equipment. Check the annual fuel utilization efficiency (AFUE) for boilers and furnaces and the seasonal energy efficiency ratio (SEER) rating for air conditioners. When judging these ratings, keep in mind the overall maintenance the equipment has received. Ask about the warranty and any maintenance agreements. Find out if they transfer to the new owners. 6. Ask about past maintenance and repairs. HVAC technicians sometimes leave behind a dated job ticket when they service an air conditioner, boiler, furnace or heat pump either attached to the unit or posted nearby. This type of information is a record of what has been done to the system. Check for frequent repairs, especially big-ticket items like blower motors or compressors. These could signal trouble that the equipment may need to be replaced soon. 7. Pay attention to the comfort levels in different rooms. Cold, drafty spots or hot, stuffy spots could indicate a problem such as leaks or poor insulation. 8. Schedule a professional inspection and preventative maintenance. Have the HVAC system inspected before you close on the house. At the very least, have a certified HVAC technician come out and do a thorough cleaning and maintenance before you move in. A certified HVAC technician is an invaluable resource when you purchase a home. He or she will explain the system to you, provide recommendations for what you need to do to keep the system running as efficiently as possible, answer any additional questions you have and give you a good idea of how much life is left in the system. Keep in mind, an older system doesn’t necessarily need to be replaced. A well-maintained gas furnace or boiler can last between 15-20 years, while a heat pump or central air conditioner can last 10-15 years. For your new home HVAC inspection, contact your Rheem Pro Partner in Colorado and Wyoming today! Your air ducts are your home’s circulatory system. Each day your furnace or air conditioner is in operation, the air inside your home will be cycled through your ductwork again and again in a repeating loop. Unfortunately, the air that passes through your ducts almost always carries pollutants. In most American homes indoor air pollution is a fact of life, and as a result air ducts become a sort of depository, collecting dust, dirt, debris, pet dander, chemical traces, mold spores and a host of other nasty contaminants. If nothing is done these contaminants will continue to accumulate, but that is a problem you can avoid by having your air ducts cleaned on a regular basis. The air in your home is filled with microscopic contaminants, which your HVAC filters are designed to capture as air circulates through your home’s air duct network. But when pollutants build up inside ducts, they get stirred up and re-circulated throughout the home whenever your HVAC system is switched on, and this is a problem air filters cannot solve since it occurs downriver from where they perform their work. Consequently, your only defense against your ducts becoming a source of recirculated pollution is to have them cleaned before contaminant build-up runs out of control. Improved indoor air quality is especially important for those who suffer from asthma or allergies that can be triggered by exposure to indoor irritants. In the sensitive and the vulnerable, the dust, dander, pollen, mold spores and bacteria that accumulate inside unsanitary air ducts can easily provoke an allergic attack, possibly severe enough to require medical attention. When allergens become recurrent a problem in the home, and a proactive approach to air duct cleaning should be considered mandatory. Ducts and registers clogged with dirt and debris inhibit air flow, forcing HVAC systems to work harder to meet their designated temperature targets. Because keeping up can be difficult, especially during more extreme weather conditions, homes that have unclean duct systems frequently feel too hot in summer and too cold in winter, all because the restrictions on air flow prevent them from working at peak efficiency. By enhancing the free and easy flow of air, duct cleaning helps ensure smooth, consistent and efficient operation of furnaces and air conditioners all year round. The chemical compounds responsible for odor can collect over time in duct systems, just like other home contaminants. Pets, chemicals used in cleaning, paint fumes, smoke, food smells and bathroom odors may all be recycled through dirty ductwork, producing a pervasive stale or musty smell that will hit you in the face every time you enter your home. And if your ducts collect moisture over time, mold, mildew and bacteria may spread inside them, making those odors even more odious—and of course the more often you use your furnace or air conditioner, the more frequently these odors will circulate throughout your home. 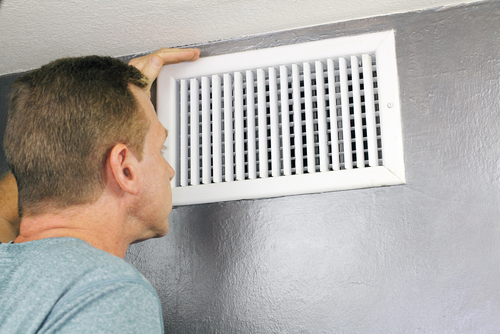 Naturally, regular air duct cleaning is the best way to avoid this contingency. Studies show that 25-40 percent of the energy used for heating or cooling a home is wasted, and dirty air ducts are a frequent contributor to this equation. Clogged ducts and registers are costly because they force furnaces and air conditioners to work harder and longer to keep up, leading to excess energy consumption and higher utility bills. In contrast, clean air ducts do nothing to inhibit the strong and smooth flow of heated or cooled air, which reduces the amount of time a furnace or air conditioner must be kept running. There are two ways that dirty ductwork can affect the longevity of your HVAC equipment. First, it can increase wear and tear on furnaces and air conditioners, since they must work harder and run longer when air flow through ductwork is less than optimal. Second, dirty ducts can contribute to mechanical breakdowns in HVAC equipment by coating them in dust and grime and making it difficult for them to continue functioning. Moisture in dirty air ducts is another problem, since exposure to moisture can cause metal machines to rust. A well-maintained furnace or air conditioner can last for 20 years or longer, and air duct cleaning should be included in your HVAC maintenance menu. Rheem Pro Partner recommends regular duct cleaning for the health of your HVAC equipment, and for the health of your family. In fact many Rheem Pro Partners now offer duct cleaning and sealing services (the latter can prevent future contamination), and if you go with us for either you’ll have peace of mind knowing the job has been performed impeccably. If your air ducts haven’t been cleaned within the past two years, please contact us right away to make an appointment for a complete inspection of your entire HVAC system. If our technician confirms your ducts are contaminated, we can offer you the most comprehensive and affordable duct cleaning services available anywhere in Colorado and Wyoming and all points beyond. Your home heating and cooling system is important for your comfort and your health. When you purchase new HVAC equipment and need it professionally installed or require repairs or maintenance for your existing HVAC system, you can’t afford to get mixed up with a substandard contractor. Fortunately, this is a possibility you can avoid if you take a careful approach to the selection process. Once you know what to look for, your chances of picking an honest, reliable and highly-qualified contractor to handle your HVAC-related needs will be greatly enhanced. What Does an HVAC Contractor Do? 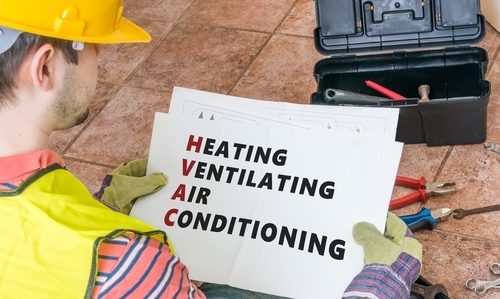 HVAC contractors are installation, service, repair and preventive maintenance specialists. Some HVAC contractors act as independent operators, or as active providers of the services their company offers. They are prepared to handle a range of duties related to HVAC systems, including installations, repair work and maintenance services, and they can make informed recommendations to clients who are in the market for new heating, cooling, ventilation or indoor air quality equipment. Other HVAC contractors employ a team of technicians who are trained to perform a number of tasks related to indoor climate control. When you need service, these contractors will dispatch someone who has the expertise to manage the assignment, based on their skills and past experience. Unfortunately, the HVAC industry has more than its fair share of shady operators, fly-by-night companies and individuals who are looking for a fast buck and aren’t afraid to cut corners to get it. But if you know how to spot them, you’ll stay well ahead of the game. Any HVAC contractor worth their salt will be more than happy to supply you with references, and of course if you have friends, family members or neighbors who’ve used a particular contractor, that can be an excellent source of information as well. Online reviews are not hard to find (Google can lead you to them) and you can check with the Better Business Bureau website to see if any complaints have been filed against your prospective HVAC contractor. Before hiring them, you should find out how long an HVAC contractor has been in business and how many years of experience their technicians have. 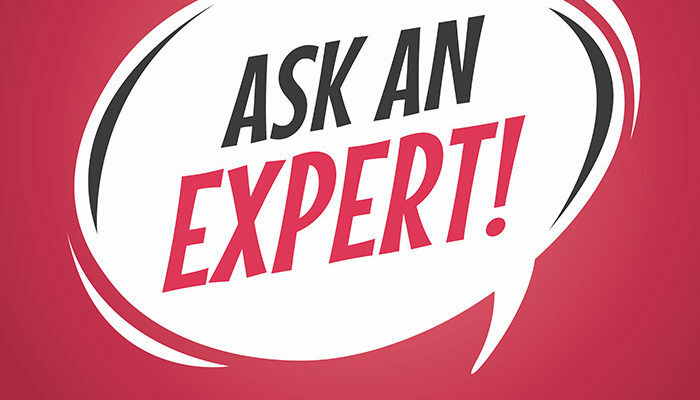 Also, if you ask them questions about the services they offer and about HVAC systems they should be able to answer immediately, providing information you can verify as accurate. A contractor or technician must inspect your home in person before they can make an accurate evaluation of your needs. Heating and cooling systems must be properly sized if they are to perform efficiently and economically. One of the oldest tricks in the books among fraudsters is to be as vague and non-specific as possible in their promises and claims. That way, they can keep piling on the expenses once the project actually begins. Reputable contractors, on the other hand, are always willing to provide you with detailed estimates that cover everything they will use or do, or might have to do should complications arise. A reputable contractor should be able to show you paperwork proving they are licensed to do business in your state, and to carry out the duties your job demands. They should be able to show you proof of insurance and bonding as well. The most qualified technicians usually carry North American Technician Excellence (NATE) certification, along with local and state certifications that testify to their training and abilities. An increasing number of professionals in the field also have training and certification from the National Comfort Institute (NCI), which is a sure sign of professional expertise. If an HVAC contractor claims their technicians are certified but that the documentation has been mysteriously misplaced, run the other way and don’t look back. Shifty contractors might give you estimates that are too high or too low, depending on the type of scams they like to pull. The only way you can tell for sure if pricing is fair is to get at least three or four estimates from different contractors, all as detailed and comprehensive as possible. ACCA stands for Air Conditioning Contractors of America, and most reputable HVAC contractors belong to the ACCA. They will likely belong to other professional associations as well, and if they aren’t it probably means they aren’t really very professional—or trustworthy. There are some iconic names in the HVAC industry, including Rheem, Lennox, Amana, Trane, and so on, and the best contractors generally represent at least one of these industry-leading companies. The top HVAC contractors also sell furnaces, air conditioners, heat pumps, water heaters, dehumidifiers and humidifiers that carry the Energy Star label, which certifies energy-efficiency and excellence in performance. These guarantees are like legal contracts, and they give you the assurances you need to protect you against unauthorized work or charges. If a company refuses to give you written guarantees, that is the surest sign imaginable that they are not on the up-and-up. Our satisfied customers in Colorado and Wyoming can confirm that Rheem Pro Partner meets all 10 of these qualifications. In all our locations we back up our promises with real solutions implemented by real professionals, and if you need help with your existing HVAC system—or are in the market for a new one—we are your best bet for superior service and superior products. Please contact us today to discuss your needs and your options, and we can assure you it will be a rewarding experience for everyone involved. Heat Pump vs. Furnace — Which Should You Choose? People in the market for an HVAC system upgrade do have choices. For heating in winter, the most common choice is between gas furnaces and heat pumps. Both technologies have much to recommend them, so before the final selection is made there are multiple factors to consider. A heat pump extracts heat from the air outside and transfers it into a home or place of business, in a steady enough supply to raise indoor temperatures to a comfortable level. Even when temperatures approach freezing the outdoor air will still contain a fairly significant amount of heat, and by working continuously a heat pump can remove it in sufficient quantities to heat enclosed spaces. Despite the name heat pumps can function as indoor heaters and as de facto air conditioners. To produce a cooling effect, it pumps heat out of the air inside and transfers it outdoors for release. Energy-efficiency. A heat pump uses electricity to facilitate the transfer of already-existing heat from one area to another, and it works very efficiently because it doesn’t have to generate any additional heat. Lower installation costs. Indoor furnaces are usually teamed with central air conditioning systems, each of which must be purchased and installed separately. But a heat pump only requires one installation. Nearly soundless operation. Heat pumps don’t create anywhere near as much noise as gas furnaces, which use forced-air technology to distribute heat throughout a home. Safety. While such occurrences are rare, and avoidable if proper maintenance procedures are followed, furnaces are capable of producing dangerous gas or carbon monoxide leaks if certain failures occur. Higher operating costs. Electricity is more expensive than natural gas, and the gap is usually large enough to cancel out the efficiency gains associated with heat pumps. Shorter lifespans. Overall, heat pump systems are more complex than furnaces and subject to wearing out more quickly, and this problem is exacerbated by the fact they run throughout the year instead of just during the winter. Poor efficiency in frigid conditions. While heat pumps can work in cold weather, their efficiency levels drop precipitously once temperatures sink below freezing. There simply isn’t enough heat in the air outside to sustain effective pumping action beyond a certain point, and once temperatures drop into the single digits or below zero it is impossible for a heat pump to keep a home comfortable. What is a Gas Furnace? A gas furnace relies on a steady feed of natural gas to fuel a continuous cycle of combustion whenever the furnace is switched on, creating intense heat that is highly effective at warming indoor spaces. This heat is distributed throughout a home through an extensive network of ducts and heat registers, and it can be kept running for as long as it takes for temperatures to rise to the desired level. Lower operating costs. While the price of natural gas is flexible, it is still a less expensive fuel to burn than coal, which is the fossil fuel used to generate most of the electricity we use (and which heat pumps rely on). Longer lifespan. While the typical heat pump may last up to 15 years, a 20-30-year lifespan is normal for a well-maintained high-efficiency gas furnace. Decreased costs of purchase and installation (in some cases). The cumulative cost of installing an air conditioner for summer and a heat pump for winter is more prohibitive than the installation costs for a heat pump alone. 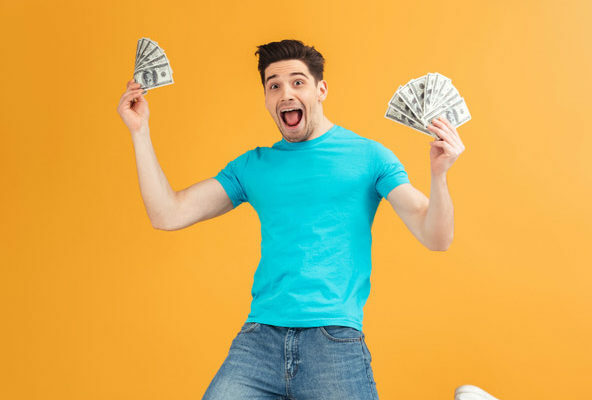 However, if your air conditioner is fine and you only need a new furnace, your installation and equipment costs will be lower than for a heat pump, by anywhere from $500 to $1,000. Lower maintenance and repair costs. The heating season in most regions of the United States lasts from 3-6 months, but heat pumps may be called on to heat or cool all year long. Consequently, they are more subject to mechanical breakdowns of various types. Greater dependability in all weather conditions. Once temperatures drop below freezing, gas furnaces will begin to outperform heat pumps, and by an ever-widening margin as the mercury begins to plunge. There simply is no way a person living in Montana, North Dakota, Colorado or Wyoming alone can get by with a heat pump—and nothing else—during the winter. The risk of gas or carbon monoxide leaks. This risk is mostly dependent on the homeowner. Annual inspections by trained HVAC professions can virtually eliminate the chances of this happening, and no one who owns a gas furnace should be lax about arranging such visits. A deleterious impact on indoor air quality. The products of gas combustion can be unhealthy to breathe and can create unpleasant odors, especially when furnaces are not working efficiently. To help prevent such problems, gas furnaces should be cleaned by an HVAC professional on a regular basis, and air filters should be changed whenever they become clogged and are constricting air flow. Dual System Heating: The Best of Both Worlds? In Colorado and Wyoming, a heat pump alone is not a practical solution in winter. But it is possible to install a dual heating system that uses a heat pump to fulfill some heating duties, with a gas furnace available as a backup when temperatures plunge to unpleasant depths. With a dual heating system, the heat pump can function as an air conditioner in the summer as well, giving the homeowner a versatile system that eliminates the need for one piece of expensive HVAC equipment. While a heat pump is generally more expensive to operate than a furnace, even in relatively mild winter temperatures, the heat it produces usually has a higher moisture content than the dry heat produced by a furnace. People who experience itching or burning of the eyes, throat or skin when the air is excessively dry may prefer to use a heat pump in the spring or fall, or in winter when temperatures are relatively mild. 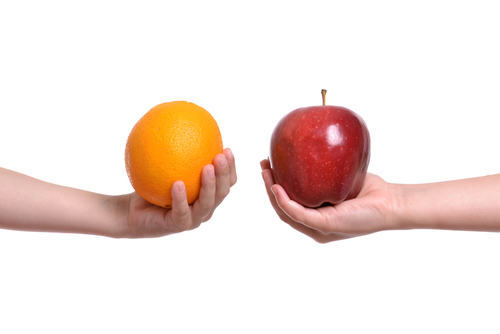 If you are considering changes in your HVAC system, we can help you make the right choice for you and your family. Our product line features an expansive array of outstanding furnaces and heat pumps, and if you contact us today we can introduce you to an impressive variety of superior quality HVAC equipment. In Colorado and Wyoming Rheem Pro Partner is your best bet for great products and even better service, and that is why you should come to us to discuss your home heating and cooling options. The Department of Energy estimates that water heating costs are responsible for about 18 percent of a household’s yearly energy consumption. Consequently, your determination to save money on energy costs should include strategies to reduce your hot water usage and water-related energy consumption. If you implement the recommendations listed below, you’ll be rewarded with a lower utility bill each month—and possibly a dramatically lower utility bill, depending on how wasteful you’ve been up to now. For every minute you spend in the shower, you’ll use about five gallons of water. If you cut your average shower time from 10 to five minutes each day, you could save 175 gallons of water and 35 minutes of energy or fuel consumption per week. A 10-degree Fahrenheit reduction in water heater temperature will cut that appliance’s power usage by 3-5 percent each time it is activated. Letting the hot water run continuously when you’re washing hands, doing the dishes or shaving could add a few dollars to your energy costs each year. Since you probably do this without thinking, it should be an easy adjustment to make now that you’re aware of the problem. Cold water will do the job just as well as hot water in most instances. You should always make sure to use cold water during the rinse cycle, and over the course of a year this action alone could reduce your hot water usage by a couple of percentage points. People tend to use their dishwashers too often or casually. To reduce unnecessary energy consumption, you should only wash dishes when the dishwasher is full. You should choose shorter cycles as well, which will be more than long enough to get your dishes clean if you rinse them thoroughly with cold water before putting them in the dishwasher. Did you know that a hot water faucet leaking at a rate of one drop per second could cost you an extra $1 in energy charges each month? Over the course of a single year that adds up to 3,153 gallons of wasted water, plus several hours of excess energy usage. Water faucets and showerheads that are more than 25 years old are a great deal less efficient that current models. A good-quality low-flow showerhead can cut your rates of water usage in half, without impacting your comfort level. The Department of Energy reports that heat traps on hot water outlet pipes and cold water inlet pipes can save you up to $30 per year on energy. Most modern water heaters already have these traps installed, so you likely won’t have to do this unless your heater has been in place for a decade or more. To find out whether your storage tank needs more insulation, check its R-value (a measurement of insulating capacities) in your water heater owner’s manual. If its less than R-24 you should install in insulation blanket, being careful not to cover the thermostat on electric water heaters or the top, bottom, thermostat or burner compartment on gas water heaters. If you feel uncomfortable doing this, you can ask your water heating contractor to come and do it for you. As a physical test, you can put your hands on the outside of your water heater tank, and if it feels warm it needs more insulation. What this does is raise the temperature of the water in the pipes, possibly by as much as 2-4 degrees Fahrenheit. This eases your water heater’s workload and gives you the option of lowering its temperature settings a bit below that 120-degree standard. A timer will reduce energy consumption by shutting down the heating unit when you’re at work or sleeping and have no need for on-demand hot water. If you live in an area that charges higher electricity rates during certain hours, you can program the timer to shut the heater down during those times, too. The Energy Star label on a dishwasher or washing machine guarantees energy-efficient performance, in comparison to appliances from 15-20 years ago that were tilted more toward the energy-hog side. Appliances that earn this designation will be accompanied by a yellow Energy Guide sticker, which reveals how many kilowatt-hours of energy that appliance will consume each year (based on typical levels of usage) and how much that energy will cost. Energy-efficient water heaters are now standard, with Energy Star labels and yellow Energy Guide stickers attached to verify their excellence. While a good-quality tanked model could represent a drastic improvement over your old water heater, the best way to save money on water heating is to switch to a tankless water heater. These appliances deliver hot water strictly on demand, eliminating all excess heating costs associated with tank technology. Want to reduce your water heating bills? Then you should contact us today, because Rheem Pro Partners offers a full-line of energy-efficient water heaters plus professional and affordable installation services. We have multiple tanked and tankless options to show you, all accompanied by warranties on tanks, parts and labor. These superbly-crafted and exquisitely-designed water heaters will reduce your energy bills from the day they’re first installed, proving once again that you can’t go wrong in Colorado and Wyoming when you come to Rheem Pro Partner for assistance. Furnaces are calibrated to turn on and off based strictly on changes in indoor air temperature. But sometimes, furnaces will begin turning on and off too rapidly to be responding to temperature variations. This is not normal behavior and the problem is unlikely to clear up on its own. This pattern of functioning is called short cycling, and it is a sign of trouble that you cannot afford to ignore. Furnaces normally shut on and off between three and eight times per hour, and in colder weather a quick pace in cycling should be expected. But when your furnace is short cycling it will switch on and off every two or three minutes, which indicates a malfunction or glitch somewhere in the system. When air filters aren’t changed regularly, they can become clogged and dirty. This leads to restricted air flow through the intake vents, which could cause the heat exchanger to shut down soon after the furnace is turnn’t cool properly and would be in danger of burning out if it kept running. Experts estimate that up to 90 percent of short cycling is caused by a died on, since it worty air filter, which is a testament to how lax people are about changing their air filters on time. Reliable thermostat performance is required for a furnace to work properly. But if your thermostat isn’t working it can cause a range of system operating troubles, including short cycling. If your furnace is too big for your home, it will tend to heat up the rooms in your house too quickly, possible leading to a pattern of short cycling. This may seem like a sign of superior efficiency, but a furnace that short cycles for this reason will wear out much more rapidly than it should. Air filters that have been in place for an extended period of time should be replaced, and a good rule of thumb is to get a new filter at the beginning of each heating and cooling season. If you’ve been using a cheap fiberglass model, try upgrading to a good-quality pleated filter with a MERV rating of 9-12. Once the filter has been replaced, the chances are good the short cycling will stop. If it doesn’t, you can move on to the next possibility. A short cycling problem could indicate a failing thermostat battery, or that the thermostat was installed in direct sunlight or next to a heat register, where the temperature spikes can confuse it. You can try changing the battery on your own, although you’ll need to consult a technician if you need to move the thermostat to another location, or if your thermostat can’t be fixed and needs to be replaced. If you suspect the thermostat is faulty and might need replacing, you should ask your HVAC contractor to send someone to your home to exam it. A burned-out blower could be the cause of the short cycling. The way to check for this is to hold your hand next to a heat register, and if air flow is super-low or nonexistent, it means the furnace is running but the blower is not. A burned-out blower fan could be yet another indication (and an expensive one, at that) that your air filters are dirty and need more frequent changing. By following these tips, you should be able to solve your short cycling problem in most cases. But if you can’t, please don’t hesitate to contact Rheem Pro Partner right away. We’ll dispatch one of our top technicians to your home to inspect your HVAC system and diagnose the difficulty, and to make a recommendation on how to resolve the situation once and for all. In Colorado and Wyoming, when your HVAC equipment is malfunctioning you can always count on Rheem to help you out. 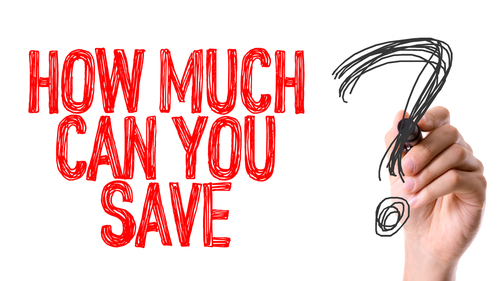 How Much Can You Save with a High Efficiency Furnace? If your furnace was installed more than 10 years ago and does not carry the high-efficiency moniker, it might be time to consider an upgrade. While this might require a significant upfront investment, in the long-run that investment could pay off in a big way. The good news is that efficiency in furnaces is now carefully measured, and that means you can figure out how much a new furnace might save you on energy bills before you decide which make and model to buy. AFUE stands for annual fuel utilization efficiency. Expressed as a percentage, it measures the amount of fuel your furnace uses that is converted to heat. High-efficiency furnaces have high AFUE percentages, signifying the low levels of gas they waste. Current government standards mandate AFUE ratings of 80 percent or higher, and any new furnace you purchase is likely to offer an AFUE rating of somewhere between 80 and 98 percent—meaning between 80 and 98 percent of the fuel you pay for will actually be used to heat your home. To put these numbers in perspective, a furnace installed 30-40 years ago might have wasted as much as 30-40 percent of the fuel it burned, depending on how well maintained it was, while a furnace that meets the minimal standards today would only waste half that amount. The cost of a new furnace will vary, based mainly on its AFUE rating. In general you should expect to pay between $1,500 and $4,000 for the furnace alone, not including installation, and a furnace with an AFUE rating of 96 percent will likely cost you 40-50 percent more than one with an AFUE rating of 80 percent. That might sound like a significant mark-up, but it really isn’t when you factor in expected energy savings. With AFUE data available, calculating the savings offered by one furnace over another is a straightforward affair. You simply use the furnace with the lower rating as your baseline, the take the difference in percentages to compute your expected fuel savings. To put that more simply, a new furnace with an AFUE of 96 would produce heating bills 16 percent lower than a furnace with an AFUE of 80. Of course, if you have an older furnace with uncertain performance, you can’t be sure how much savings a new 80 AFUE furnace would deliver. But if you estimate savings of 10-20 percent (which may be modest if your current furnace isn’t in great working order), and your current winter heating bills run about $100 a month, installing a furnace with an AFUE of 80 could cut your costs down to $80 a month. Meanwhile, a 96 AFUE furnace could potentially reduce your bills to just $64 a month, and over time those kinds of savings could really add up. Needless to say, the size of your savings will depend on the length of the winter and on the hours you use your furnace each day. In Colorado and Wyoming winters are long and cold, which definitely magnifies the impact of a high-efficiency furnace of any AFUE rating in this part of the country. In addition to installing a new high-efficiency furnace, there are other types of changes you could make that would have an impact as well. Upgrading your insulation, sealing air leaks, weatherstripping around doors and windows, and switching to double-glazed or high solar gain/low-e glass windows could boost your home’s energy-efficiency by a substantial amount, while remodeling or a sudden jump in the price of natural gas could push your heating bills upward. But regardless of any other changes you make, getting a new furnace with a strong AFUE rating could still cut your winter heating bills by a consequential amount, and with an expected lifespan of 25 or more years (if you are diligent about maintenance), your new furnace should pay for itself in energy savings well before it needs replacement. Another advantage of installing a new high-efficiency furnace is that it will increase your property values should you decide to sell your home within the next few years, and that alone could make it worth the investment. At Rheem Pro Partner we sell high-efficiency furnaces manufactured by Rheem, one of the most esteemed and respected names in the heating and cooling industry. We also employ highly-trained HVAC technicians who can handle any installation job regardless of the challenges involved. If you’re thinking about purchasing a new high-efficiency furnace, please contact us today for more information and to arrange a consultation. If you ultimately decide to do business with us, you’ll join a long list of satisfied customers in Colorado and Wyoming who’ve turned to us in their time of need. New furnaces require a significant financial investment, and if you make the wrong choice the size of that investment may grow as you’re forced to pay for multiple repairs and upgrades. Furnaces are evaluated based on their AFUE ratings. AFUE stands for ‘annual fuel utilization efficiency,’ and it refers to the percentage of the fuel your furnace consumes that is actually converted to usable heat. In areas where winter temperatures routinely plunge below zero, you’ll want to purchase a furnace with an AFUE rating of 92 or better. A premium-quality furnace might carry a rating of 97-98 percent, and while such an appliance may seem costly it can deliver amazing levels of energy savings over the course of its lifespan. Your choices are furnaces with single-speed blowers, which (as the name implies) run at the same speed all the time, or variable-speed furnaces, which adjust the intensity of their operation based on changes in the weather. Variable-speed furnaces that adjust their pace of heat production up or down as outdoor temperatures rise and fall will consume less fuel and cost less to operate, while still keeping you warm and comfortable at all times. Variable-speed furnaces are more expensive, but because they are more efficient they may reduce your energy bills dramatically if you live in locations that experience frequent fluctuations in wintertime temperatures. For maximum reductions in energy usage, you should support your new furnace by adding a programmable thermostat with WiFi capability as a companion piece. Compared to traditional thermostats, programmable thermostats can cut your energy costs by 10-20 percent. The secret of their success is that they let you customize your HVAC system’s operation down to the minute, putting you in the driver’s seat as you look to reduce your utility costs to the lowest level possible. Most high-efficiency modern furnaces come with a 10-year limited warranty on parts and a 20-year warranty on the heat exchanger, which is vital to the continued functioning of the furnace. You might be able to extend that warranty by 5-10 years for a price, if you want to give yourself additional peace of mind. As you look at the warranty don’t forget to read the fine print, so you can avoid any nasty surprises down the road. Regular maintenance may be required to preserve warranty protections, but its in your best interest to schedule annual maintenance visits anyway. If you live in a large house, or one that just naturally has broad temperature differentials between rooms, you should consider installing a zoned heating system. Zoned installations feature multiple thermostats for separate rooms or sections of the house, and wireless or manual dampers on your registers will let you direct heated air to the parts of the home where it is needed the most. Zoning might sound expensive, but keep in mind it still involves only one furnace, and it would allow you to shift the heat exclusively to the spaces you occupy, thereby saving you the trouble (and the expense) of heating sections of your home that are lightly-used. In combination with your new furnace, you might want to consider upgrading to superior-quality air filters. If you are unsure about which ones offer the best performance, you can ask the HVAC technicians installing your new furnace to check your old filters and make recommendations. To bolster your indoor air quality even further, you may want to supplement your new furnace by adding an air cleaner or air purifier, which can be installed inside your ductwork. A whole-house humidifier is another great option for wintertime comfort, since heated air can be quite dry and can leave you feeling itchy and uncomfortable. Unfortunately, there are many fly-by-night operators in the heating and cooling business, and if you have the misfortune of employing one you’ll likely suffer significant financial losses because of that mistake. A legitimate HVAC contractor will have an established presence in the community, documentation to prove they’ve been licensed, great reviews online, and a roster comprised entirely of highly-trained and fully-certified technicians with a wealth of experience. They may not give you the lowest bid on labor and installation costs, but they’ll save you a lot of headaches and heartaches in the long-run by doing the job right. When you purchase a new energy-efficient furnace with a high AFUE rating, you likely be eligible for a broad range of rebates, tax breaks and other financial incentives offered by state and local governments, the federal government, furnace manufacturers and retailers. Energy-efficiency is all the rage these days, and you’d be amazed how many benefits are available to anyone who chooses to install energy-saving and environmentally-friendly technology. Financing options are usually available to help you handle the costs of a new furnace as well, and your HVAC contractor will work with you to keep your equipment and installation costs well within your budget. Are you ready to buy a new furnace, or at least ready to consider the idea? Before you take the plunge, please contact Rheem Pro Partner today to discuss your options, and to make an appointment for a full HVAC system inspection. As our satisfied customers in Colorado and Wyoming can attest, we offer top-quality heating and cooling products backed by superior installation services. For Air Conditioning, Furnace and Water Heater Repairs or Installations in the following areas.